Red Tractor is the largest food standard scheme in the UK and is an easy signpost for consumers looking for British food and drink that they can trust. 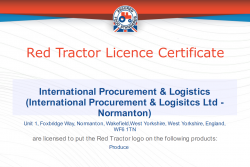 Red Tractor has some of the most comprehensive farm and food standards in the world. Every working day in the UK, independent inspectors conduct inspections so that consumers can be confident that the food they buy is traceable, safe and responsibly produced and has met standards set by experts in their field. The technical team at our site in Normanton were recently set a trace-back challenge by Red Tractor which required them to trace several of our products from source to Asda stores. 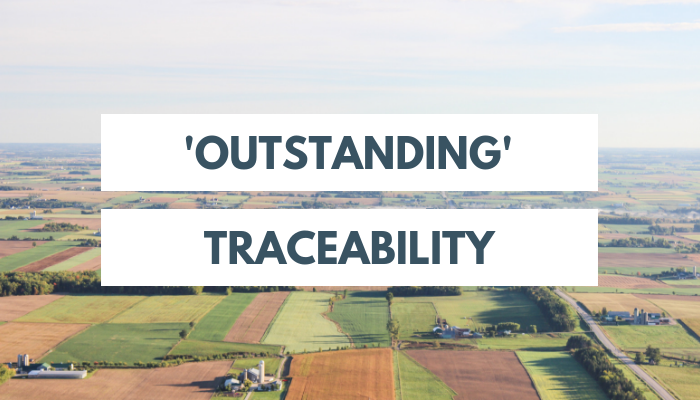 The team (Nasir Ahmed, Francesca Lewis & Wayne Donohoe) were able to promptly provide all the required paperwork and as a result scored an outstanding with zero non–conformances!